The supply of sufficient quantities of energy with minimal environmental impact are among the key challenges of the macroenergy world. The search for fossil energy substitutes that meet the energy requirements of sustainability directs the development to renewable energies. In this way, a waste-to-energy (WtE) approach has been considered as potentially attractive alternatives for the development of new sources of energy. The use of industrial and domestic wastes to produce energy and fuels is associated with a high yield per unit area, use of non-edible materials, use of non-agricultural land, use of non-potable water sources, parallel production of co-products and the potential for mitigation of pollutants. Thus, biomass and bioproducts supported in wastes, when processed by physical, chemical and/or biological operations may provide different types of bioenergy, including primarily biodiesel, biohydrogen, bioethanol, biomethane, synthesis gas, volatile organic compounds and electricity. Independent of the technological aspects, fundamental elements such as life cycle assessment, the bioeconomy of the processes, the process integration, the process intensification and the biorefinery concept were considered in the book. 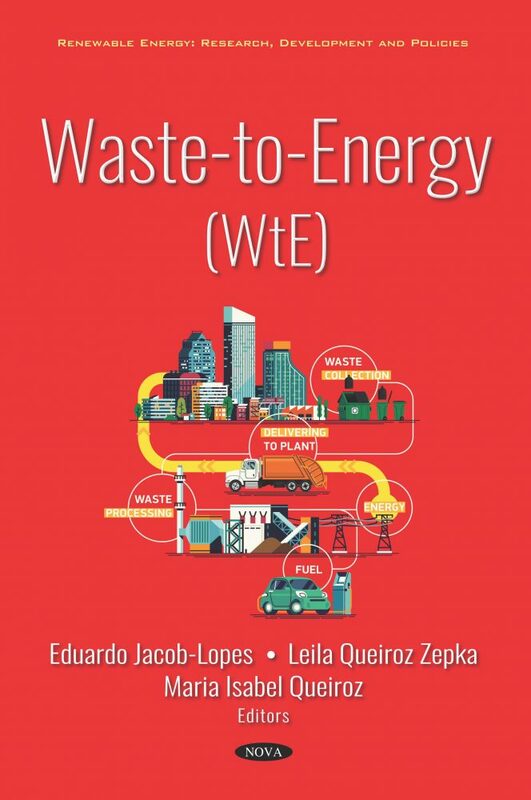 Given the book’s breadth of coverage and extensive bibliography, it offers an essential resource for researchers and industry professionals working with energy from waste.